The Fitbit charge 3 is a revolution on its own. With its amazing features and newer additions and improvements, the Fitbit charge 3 leaves behind its predecessor and competitors with a significant margin. Many of the reviews have marked it as the best fitness tracker but let’s go into details and see if it is actually the best fitness tracker out in the market or not. Moreover, the biggest improvement in the Fitbit charge 3 is the swim proof and water resistance to 50 meters feature which was missed out in the previous models. This was a much needed feature since many swimming lovers were left out. Followed by the better OLED display and a longer seven day battery life has given the Fitbit charge 3 an optimum edge over all the other competitors making it the complete package for a similar price tag as the previous charge 2. The Fitbit has held on to its iconic design and looks but the Charge 3, with its aluminum case, is similar to the angular Fitbit Ionic just that it looks a bit contracted in terms of size. The Fitbit charge 3 comes with a comfortable band and a huge variety for you to customize as much as you want. Also, the newer model has made band swapping much better and easier than it was ever before. The all new OLED display is far more responsive and vibrant than any other older model. Another greatest feature freshly added to the Fitbit charge 3 is the haptic virtual button on the side that you can press in order to control your fitness tracking. The cherry on top, the haptic virtual button also works under water. The Fitbit charge 3 has a 40% larger display which is protected by Corning Gorilla Glass 3. Having a larger OLED display and a full screen, however, the Fitbit still holds on to its black and white display which turns out to be a disappointment for many. Although, the new curvy aluminum body is 20% lighter than the Fitbit charge 2 making it sleeker and less bulky. The light-weight design is much useful when monitoring your sleep as you can easily wear it at night without feeling any weight on your wrist. An enhanced SpO2 heart rate sensor offers more accurate heart rate results and improved sleep tracking on the Fitbit Charge 3. Sleep tracking offers greater details about how well your sleep went. There is a 24/7 heart rate monitoring and an added sensor that checks for the amount of oxygen in the blood. Other than heart rate, the Fitbit charge 3 has over fifteen exercise types such as running, cycling, swim, yoga and, many more so you can set your goal and get moving. With the all new water resistant feature, this fitness tracker will record your distance, lap, pace and, duration while you are out for swimming. You can swipe back and forth to browse plenty of mini apps features through which you can monitor the weather and time yourself by the stopwatch. However, apart from the great features, the Fitbit charge 3 lacks the dedicated GPS feature which many other smartwatches or fitness trackers provide. That means the Fitbit will not be able to monitor and keep a record of your activities if you do not carry your smartphone with you. This is a real disappointing deal as many people prefer not to carry their smartphones while out for exercise. Many competitors of the Fitbit charge 3 offer dedicated GPS like the Apple watch. Although, there is still a connected GPS feature that is going to track your activity when you have your smartphone with you. To be honest, in 2018, that is no big deal. One very out of the box tracking feature is the female health tracking, allowing girls to monitor their period. With the all new Fitbit Charge 3 you will now be able to get full phone notifications that will allow you to send out quick replies using an android device. You will also be able to answer or decline calls through your Fitbit tracker. With the all new design, you will experience a much smoother interface and swiping through the basic UI is a lot simpler. The new goal based activities that enable you to set a target for your workout has given a bigger reason to purchase the affordable Fitbit charge 3. Your new calorie accountant is now the Fitbit charge 3 keeping track of everything you eat and the number of calories consumed and burned. The battery life is exceptional that no other fitness tracker brand is able to provide. Although, it is the greyscale display that helps the battery last longer. Fitbit pay is now a newer model addition which can be purchased just by paying an extra amount of $20. It is a great feature for those who rely on making payments through these devices. The Fitbit Pay has around a hundred bank partners but still not as much as the Apple Pay does. The Fitbit pay edition comes with an extra band that retails for 35$ separately, so considering that buying the Fitbit pay could be a better deal. Though the Fitbit Charge 3 remains basic along with its main idea of being affordable and the greatest fitness tracker at the same time. It serves the main purpose well of monitoring exercises, but with the fierce competition out in the tech world, there are many other options that offer immense features at a little more price. If you are investing in a smartwatch or a fitness tracker, you might just want to spend a few more bucks and get yourself a device packed with unlimited features. 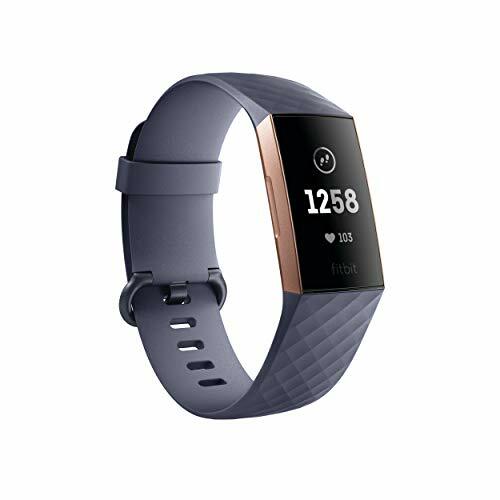 Moreover, keeping the Fitbit charge 3 under the spotlight, it has improved a lot as compared to the previous models and now offers a much faster and accurate monitoring mechanism along with other new features that have helped the new Fitbit to level up in the smart world.